Following the sold-out, three-city 2017 tour, former NASA astronaut Dr Don Thomas will be returning to South Africa, for the Living Maths Space Tour 2018, from 16 to 27 September. STEAM-based NGO Living Maths, will be giving South Africans the rare opportunity to meet a bona fide spaceman, during a series of public talks and school visits in Cape Town and along the Garden Route. 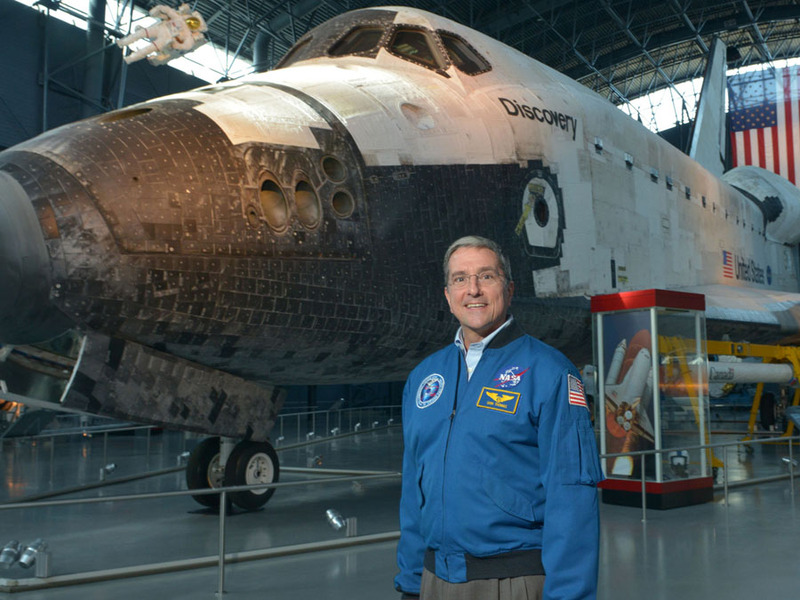 If you have ever been curious about what it is like to be blasted into space and to live and work in a shuttle while orbiting the Earth, then the upcoming tour is not to be missed. During his twenty-year tenure with NASA, including four historic shuttle missions, Dr Thomas logged over 1040 hours of adventuring in space and completed 692 orbits of the Earth. His inaugural mission aboard the STS-65 Columbia in July 1994 set a new flight duration record for the US Space Shuttle program with 236 orbits of the Earth and 6.1 million miles travelled, in 353 hours and 55 minutes. Dr Thomas’ “Living and Working in Space” presentation takes the audience on his journey to becoming an astronaut and allows them to share the fun and excitement of being in space. Focusing on the thrills of launch, how astronauts eat, sleep, and exercise, the infamous space ablutions, and sharing the beauty and fragility of our planet that he experienced and saw first-hand whilst orbiting the Earth. “From the age of six years old, I knew I wanted to be an Astronaut, but NASA declined my application to the space programme four times before I was accepted. I’m grateful to now be one of only 550 humans to have flown in space and feel a responsibility to share my story and experiences. My story is proof that perseverance pays off and I want to pass on the gift of big dreams to young people. With space tourism and travel to Mars becoming more of a reality, I hope to inspire South African youth to follow in my footsteps and perhaps become future Mars explorers”, says Dr Thomas on his upcoming trip to the Cape. The Living Maths Space Tour is supported by Protea Hotels – Marriott.